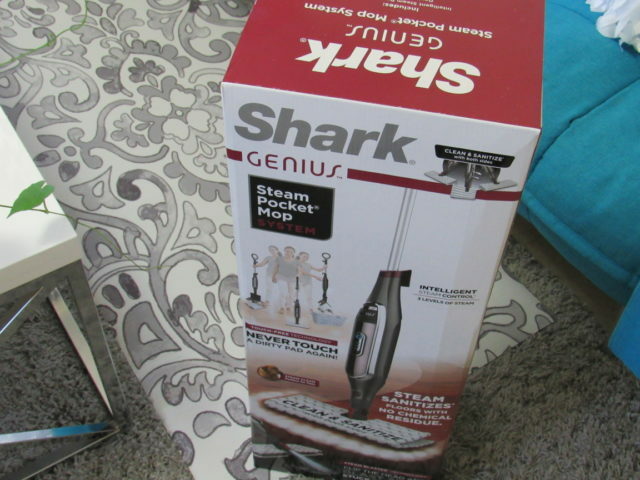 Yes, you read my title right; my Shark® Genius™ Steam Pocket® Mop makes mopping fun. I never thought I’d enjoy mopping and I surprise myself at times when I repeat that to friends and family members. I think I surprise them even more, lol. You see, I used to complain about mopping. I’d put it off as long as I could whenever I could but I’m a neat freak and I have a dog. Every time he goes out and comes in, I feel like I have to mop or in my mind, my floors aren’t clean. It would be easier to just wipe his paws off when he comes in and I started doing that in fact until my new Shark Genius Steam Pocket Mop arrived. I’d much rather mop now. Not only is mopping a breeze with my new steam mop, it works better than any mop I’ve ever tried. Talk about making spring cleaning easy. 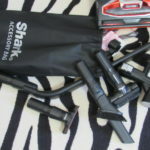 I’m going to point out some things that I love about my new Shark Genius Steam Pocket Mop System and then I hope to get you on track to start your spring cleaning so you’ll have it out of the way like I do every year. While everyone is else is cleaning, I’ll be going on picnics, traveling, having photo outings and so much more. 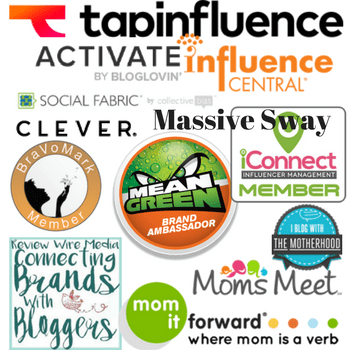 I’m sorry if this list seems long but this is one neat mop. It’s light weight. 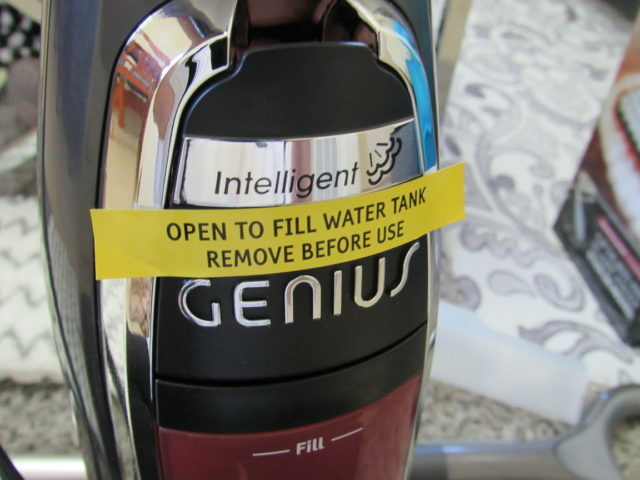 Even with water in it. That’s important when you have back issues like I do. 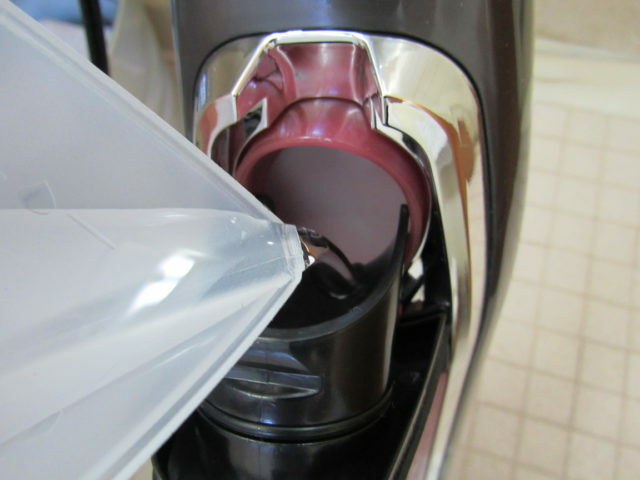 The deep steam gives me a deep clean and sanitizes. Again another important feature to me due to my dog and the kids. It has 3 intelligent steam settings so I can pick the one that’s right for me for the area I’m mopping. Because of the Steamer Blaster in the mop head, I get immaculately clean floors every time I mop. 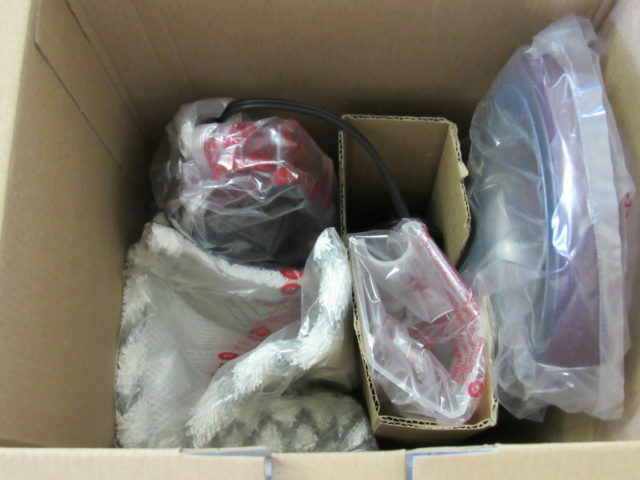 It comes with 2 two-sided dirt grip pads. When one gets dirty, I can wash it in my washing machine while I continue mopping with the other one. The mop head swivels allowing me to use it where ever I need to. See image below. I don’t have to wring my mop out saving my hands from the icky stuff that gets tracked in. With a simple pinch of a button, I can remove my pad and keep my hands free (and clean). See video below. The cord is 25 feet long which allows me to move from room to room without having to move my plug. Shark’s new Dirt Grip pads absorb more liquid than any pad I’ve ever used. It’s affordable and I don’t say that lightly. Cute color options; white, blue and burgundy. Check out my lil video. I’ve played around with this fun feature so many times that it’s bordering on creepy. I can’t stop myself. Like I said Shark makes mopping fun. I could go on and on all day long pointing out things I love about this mop (but I won’t) because there are a lot of qualities that make this my favorite mop. And believe me, I’ve tried them all. It’s definitely the smartest steam mop ever (genius mop head). I never know how many photos are acceptable so I go overboard at times. I had no idea my floor was as dirty as it was until I finished mopping with my Shark. The difference is amazing. Check out that swivel allowing me to mop along edges and even behind things. Just looking over these makes me want to go mop again. How crazy is that? I live in Georgia so we really don’t have what I’d call a cold winter. We complain when it’s in the 60’s that we’re freezing but in reality, it’s not that cold and I keep my AC on 68° to be honest. So, I start spring cleaning before, say, someone that lives in a snowy area. As soon as I see bulbs popping up around the lawn, my spring cleaning gets under way. Bulbs are up and my spring cleaning is officially under way. 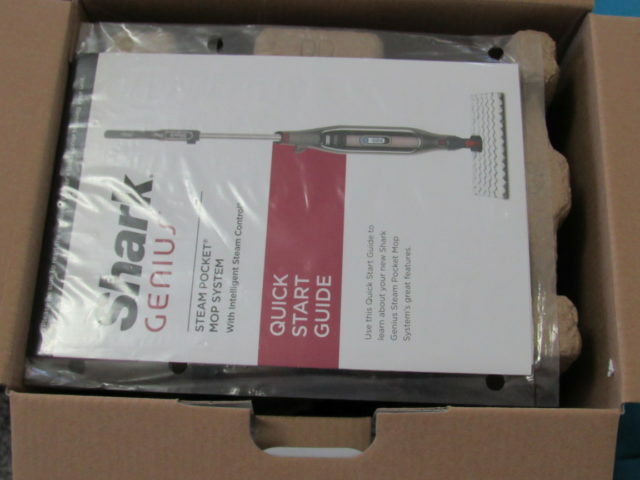 If you’d like to get started on your spring cleaning, you’ll want to start with a Shark Genius Steam Pocket Mop. 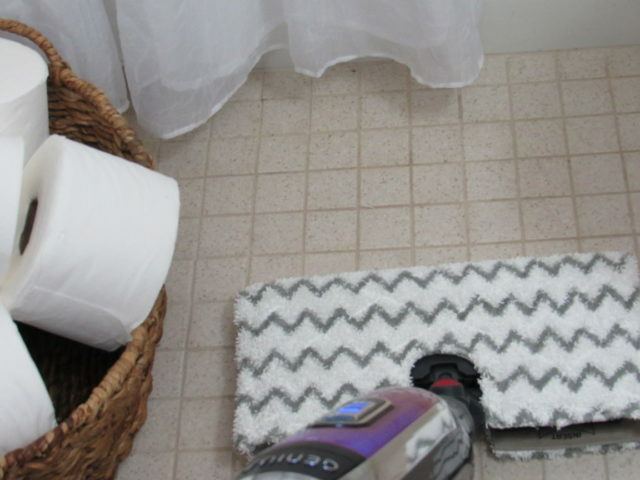 Before you head to Walmart, Bed Bath & Beyond, Target, Best Buy or any other store you shop, to pick up your own steam mop, check out this spring cleaning printable checklist that’s helping keep me on task. 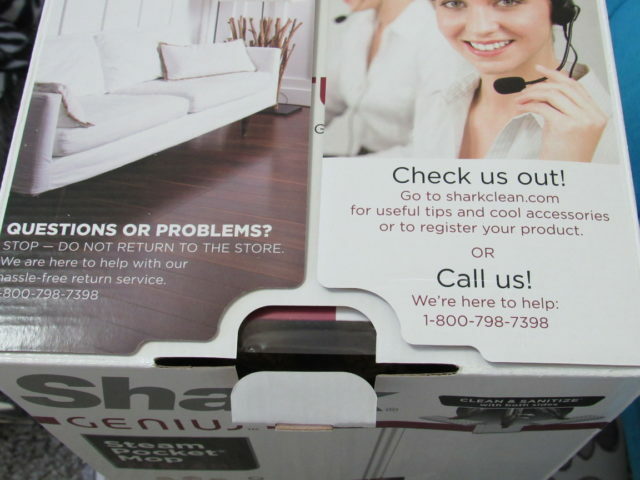 If you pick up a Shark® Genius™ Steam Pocket® Mop while you’re out shopping this weekend, please let me know how you like it. Well, how much you love it will be more like it. 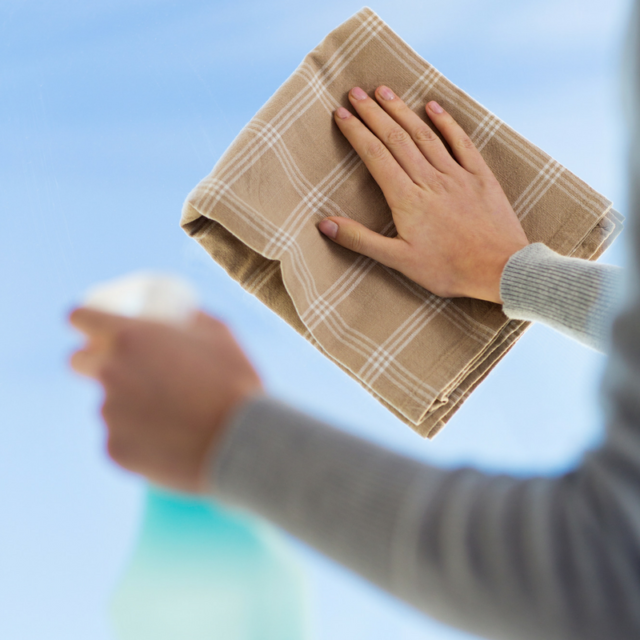 When do you start your spring cleaning? I have actually been studying up on these but I need something that is going to be tough on my grout too. Did this make a difference on your grout? I need this in my life. It looks like a neat mop that works. I mop the wood flooring daily and this looks like a deal breaker. Thanks for sharing! We just put new hardwood floors in, and they get so dirty between my toddler and our dog! I totally need this to keep the house clean this spring! I’ve often wondered how effective this mop is on different types of floors. I recently installed new wood floors and have been looking for a simply way to keep the looking pristine. 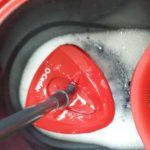 I’ve heard about this before and I think it’s an awesome mop to have at home especially for Spring Cleaning! 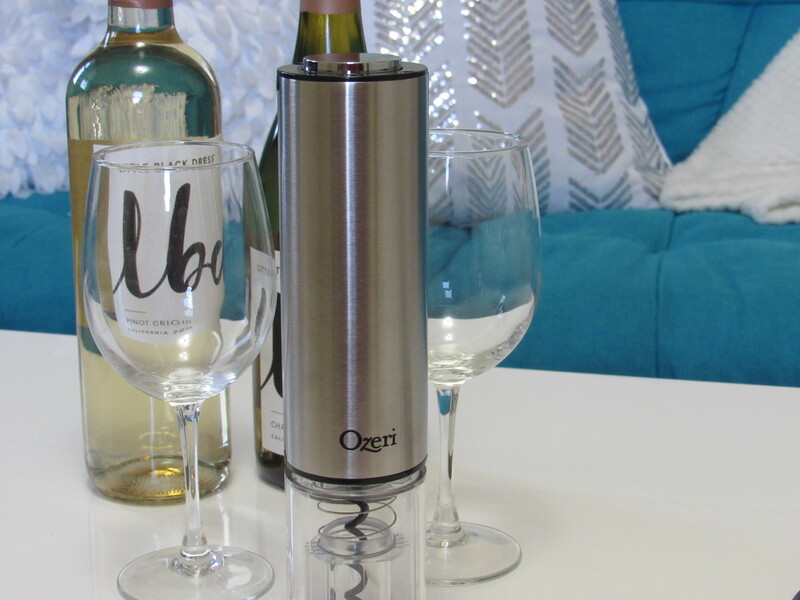 I love that it’s lightweight and easy to use. It sounds like a really cool mop to have and it’s perfect for Spring cleaning as well. I think it’s really going to make cleaning so much easier. Thats awesome! i definitely need to spring clean my room and this seems like the perfect tool to do it. I have been wanting to try this out! I would be great on my ceramic floors! I have an older version of a Shark mop and I LOVE it. I know I’d enjoy this one too. I love the way you take pictures of items. We always know what to expect. This is an Awesome item. Thanks for another fine post. I’ve never heard of a steam mop so nice to know … but think I’ll stick with my cleaning person who handles all the moping in my house. Well, unless we have an accident but the kids are grown & gone so that doesn’t happen too often. That steam mop would be nifty to have around the house. I want my house to be always neat and clean. 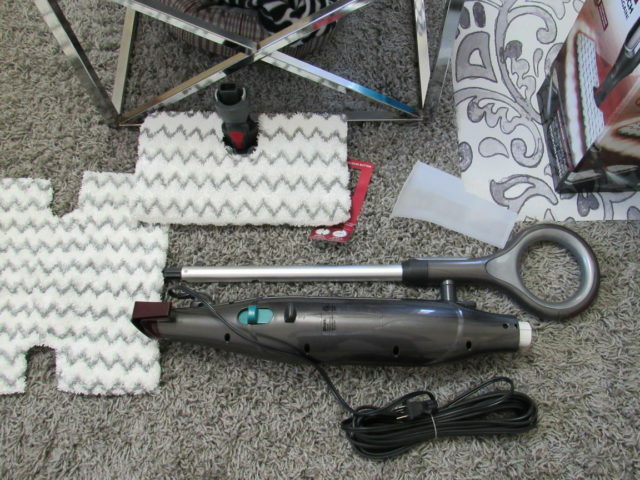 My mom always said, “make your house neat, clean and organized like you’re expecting visitors everyday.” A steam mop like that would make cleaning a whole lot easier! Looks like a mop that I need. I love that the pads go on so easy. Looks like the shark works good. I have a similar one and love it. I looooove cleaning products! anything new that can make my house sparkle gets me really excited (slightly sad I know!). Love a good steam cleaner. 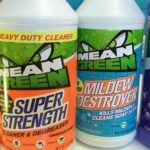 They kill germs as well as cleaning! I can do my entire space, when one side gets dirty, I just flip it over to the other side. Wow I need this. 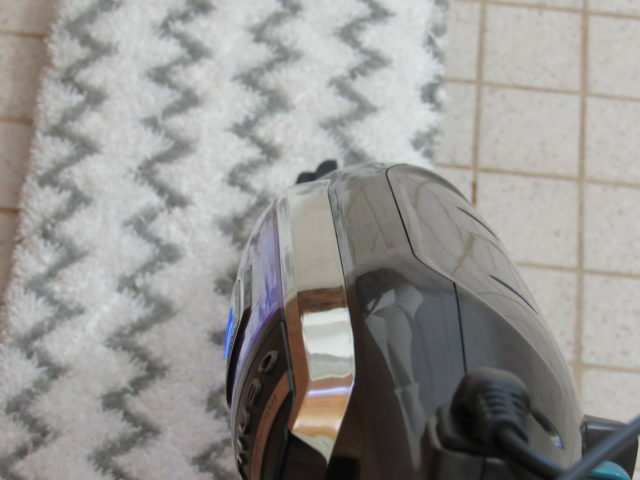 Steam mop is the only thing that cleans my tile floors and wood floors without having to change the pad!